Dr. Randazzo accepts the following list of insurance providers. Select your insurance provider to see more details. I am a board-certified prosthodontist who specializes in prosthetics of the jaws and face. I have been in practice for more than 20 years. I have experience in caring for people with cancer and those who have complex restorative or other maxillofacial prosthetic needs. I work closely with Memorial Sloan Kettering’s Ophthalmology Department to create prostheses for the eye. My research interests include how we can incorporate digital technology in patient care. I am also interested in improving the delivery of dental care to people with significant functional and cosmetic needs. When I first meet with patients, I try to put them at ease and help them feel comfortable, despite the anxiety they may be experiencing. I help them make treatment decisions regarding function and appearance. I listen closely to all of their concerns, explain each treatment option, and assure them that I will do everything I can to help them maintain their quality of life. 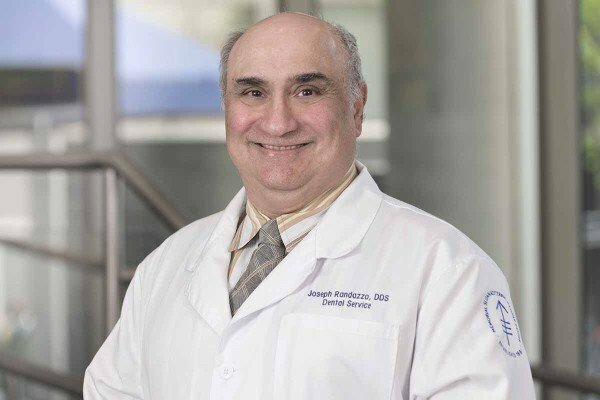 Visit PubMed for a full listing of Dr. Randazzo’s journal articles. Pubmed is an online index of research papers and other articles from the US National Library of Medicine and the National Institutes of Health.